During the holidays most of us get caught up in finding the perfect gift for our loved ones and friends. Either they tell you what they want out right or it takes some ingenuity, quests to many stores, and a keen eye for that one gift you know they will love. This ring, however, is a result of a gentleman knowing that he wanted to give himself a treat too. He knew exactly what he wanted, but was never able to come across it. 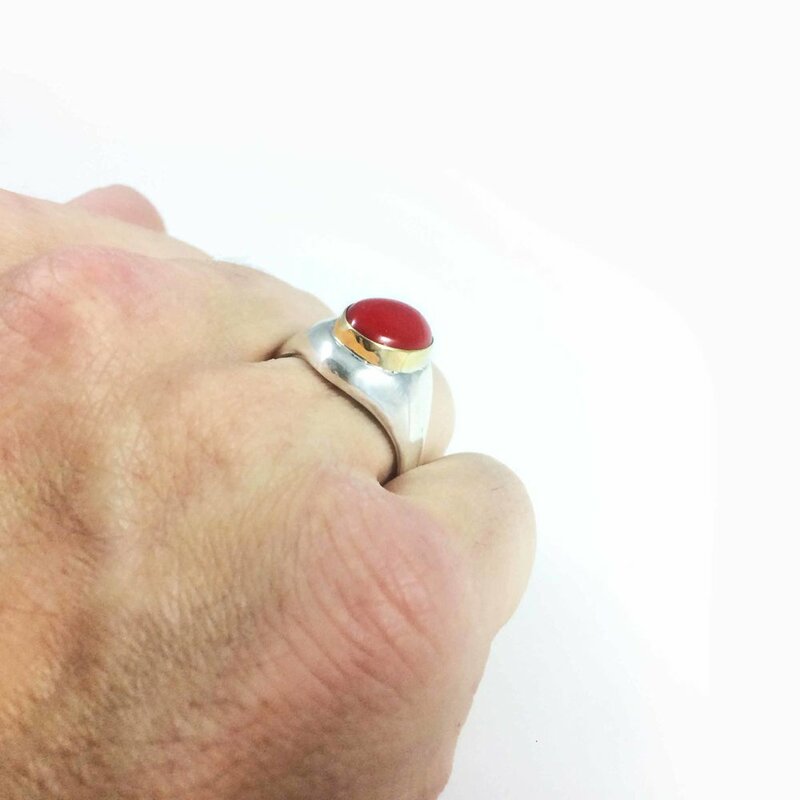 After some corresponding we came to a final design incorporating a large red coral stone on a sterling silver band with a beautiful 14k gold bezel to provide sophistication. Melchior's Ring represents the gift of gold, a symbol of royalty and kingship, and the coral symbolizes inner peace and prosperity. The colors are reminiscent of the holiday season and the design, although simple, is regal, refined, and fit to adorn the king that knew he deserved it. For those that build a life around giving to others, it is also important to remember to show appreciation to oneself.